There's nothing wrong with fantasizing about ditching the daily grind for a house in the Italian countryside. By most accounts, that would be a dream come true. However, it's totally out of the realm of financial feasibility for most of us. Right now, there's chance you could actually nab a piece of impressive Italian real estate without blowing your life savings, thanks to a little village in Sardinia that's selling off a bunch of abandoned homes for just $1.20 apiece. It's cool, we'll wait while you scramble to book a flight. In an effort to lure new residents, the ancient village of Ollolai on the island of Sardinia is putting hundreds of abandoned historic homes in the area up for sale for less than the price of a cup of coffee. Naturally, you'd expect there to be some sort of catch, and there is, but it's actually not all that extraordinary. You can purchase one of the discounted homes as long as you commit to refurbish it within three years -- an undertaking that will likely set you back a cool $25,000. Still, good luck scoring a pied a terre of any kind and in any part of Italy for less than that. The town, which is nestled in the hilly region of Barbagia, hopes that this stunt will breathe new life into it. It's on the brink of becoming a ghost town, as younger residents have fled to bigger cities. According to CNN, the population has dropped from 2,250 to 1,300 in the past few years. The job prospects in the area are fairly limited, so this would be a particularly great opportunity if you can work remotely. 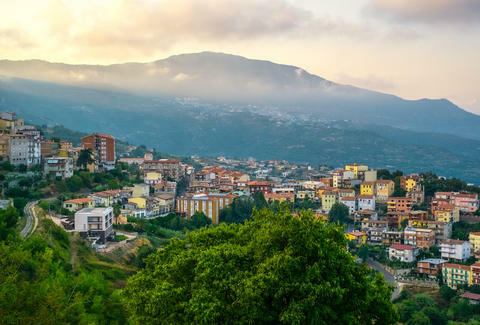 Unlike similar offers that've been made by other towns in Italy hoping to attract new residents, this one isn't exclusive to Italian residents. In fact, Ollolai's mayor says that three sales have already been finalized, and that they've received over 100 inquires from all over the world. If you're interested, feel free to shoot them a note directly via the special website the town set up -- though it might help to find an Italian speaker to help you out.